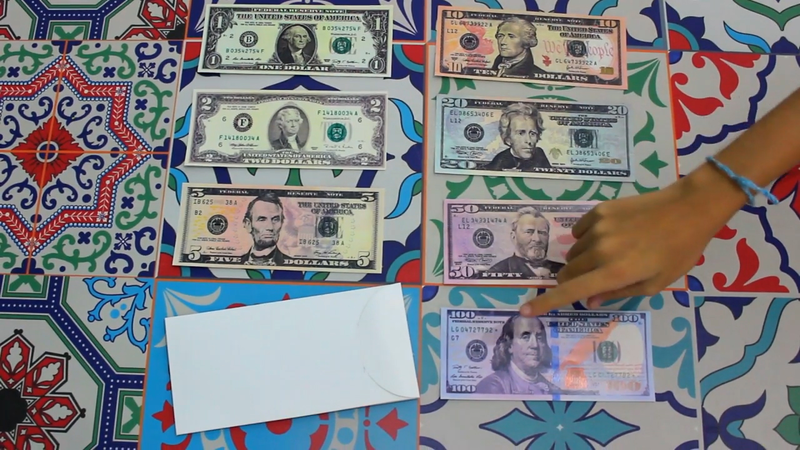 The magician holds an envelope in his hand and tells his audience that he has a Japanese yen bill inside and that this will serve as his prediction. He announces that this bill is only one among the four possibilities (1,000, 2,000, 5,000 and 10,000). A spectator freely selects one of these four denominations. The magician opens the envelope for all to see. Incredibly, inside is the exact bill that the spectator freely selected!! !